Madhu-Vidya comprises a salient portion of the Madhu-Kāṇḍa of the Bṛhadāraṇyaka Upaniṣad. 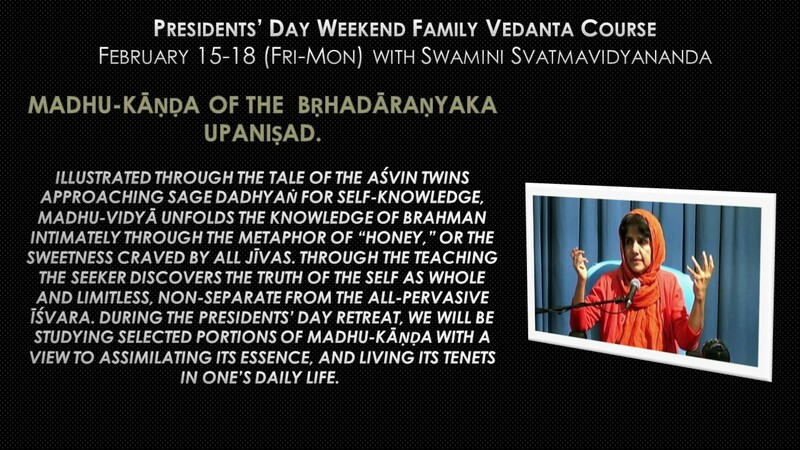 Illustrated through the tale of the Aśvin twins approaching sage Dadhyaṅ for self-knowledge, madhu-vidyā unfolds the knowledge of Brahman intimately through the metaphor of “honey,” or the sweetness craved by all jīvas. Through the teaching The seeker discovers the truth of the self as whole and limitless, non-separate from the all-pervasive Īśvara. 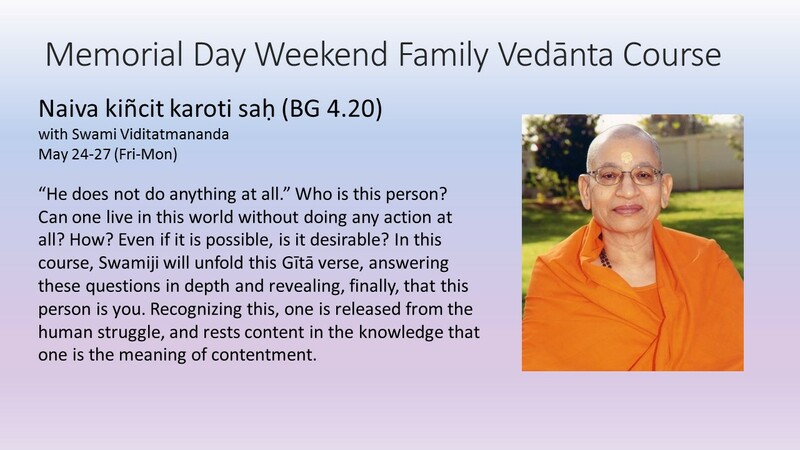 During the Presidents’ Day Retreat, we will be studying selected portions of Madhu-Kāṇḍa with a view to assimilating its essence, and living its tenets in one’s daily life.